As airport organization it is an constant challenge to keep it as comfortable as possible. You want to offer optimal service, you want to stimulate the duty-free shopping and have the travelers eat and drink in the different restaurants. You use smart retail techniques to achieve this. You can achieve optimal hospitality by placing a Kids Corner! The kids corner improves the overall atmosphere. By designing correct kids corners or play area’s you can stimulate routing and draw attention to certain parts or the airport. Besides the business advantages, it is also fun for all the children of the travelers. 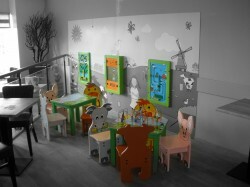 All of Instore Kids Corners products are designed in the Netherlands and produced by IKC Productions in China. After producing, the products are delivered to any place in the world by our network of more than 30 distributors. Quality, safety and service are Instore Kids Corners three core values. We work with these notions as a starting point in mind. Instore Kids Corners is committed to deliver high quality products and service. For service this means that we do what we say, and we say what we do. At the products it means hold multiple quality control checks during the production process, and we always supply high quality to the end user. 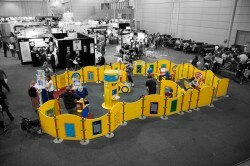 The concept “Kids Corner” can be found at world’s largest organisations and corporations. These will only settle for the best quality that gives them good results. 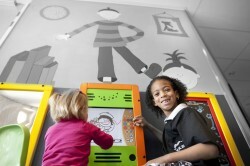 The concept “Kids Corner” is sold to company’s and organisations, but the actual users are children. A kids corner has to be a safe environment where the children can play my themselves, while the parents do their business. The specialists of Instore Kids Corners always actively handle your questions. They think with you about a suiting solution, for example by using a unique product, so you get the most results out of your kids corner. You can fully trust that every request, big or small, is in the right hands at Instore Kids Corners. 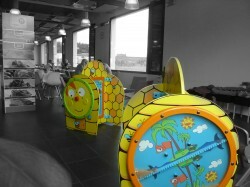 Want to know more about Instore Kids Corners? Contact us!